Embark on an amazing rendezvous with South India’s exotic wildlife for an unforgettable experience. The 14-day South India Wildlife Tour package encompasses stunning wildlife and nature safari of South India, including pristine hill stations and mesmerising backwaters. Our South India Wildlife Tour is the best way to explore the exotic wildlife and breathtaking lush environ that will enthral your senses. During the tour, we take you on a beguiling journey of South India’s famous wildlife reserves such as Nagarhole National Park, B R Hills, Bandipur National Park, Eravikulam National Park, Kumarakom Bird Sanctuary and Periyar Wildlife Sanctuary. Arrive at Bengaluru International Airport. 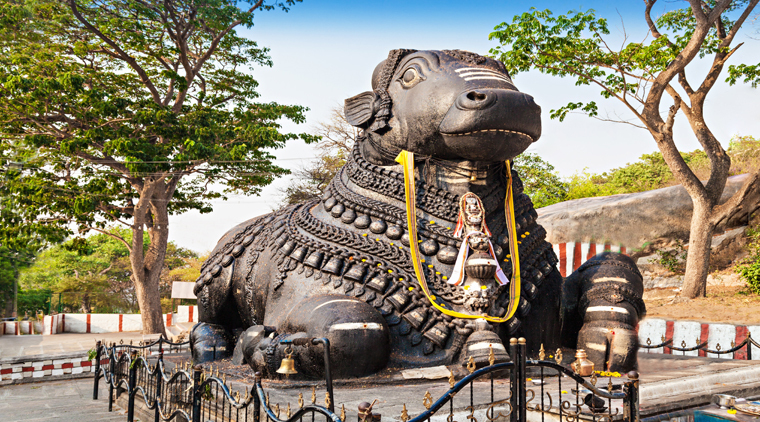 Our Destination Specialist will welcome you and directly transfer you to Mysore, which is 149.9 km. from Bengaluru. 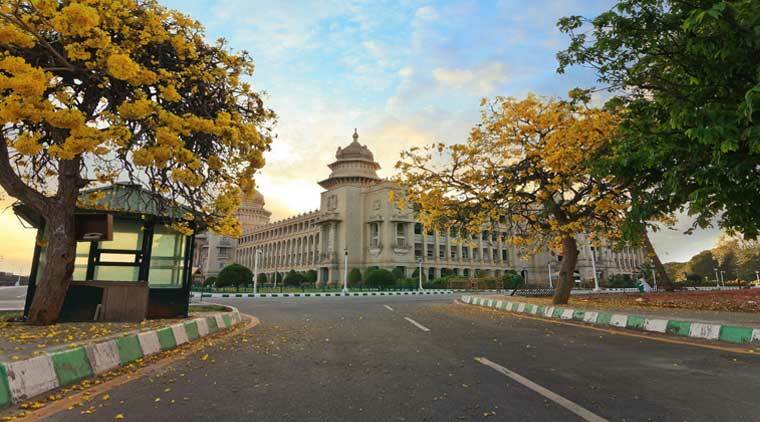 Upon arrival, check in your hotel and then explore the top tourist attractions in Mysore, including the famous Mysore Palace and the Brindaban Garden. The awe-inspiring beauty and architectural grandeur of Mysore Palace make it the most prominent tourist spot in Mysuru. It stands majestically facing the Chamunda Hills and exhibiting Indo-Saracenic architectural style. The palace encompasses colossal courtyards, two durbar halls, buildings and marvellous gardens that speak galore about the magnificence of the Wadiyars. The Brindavan Garden is another tourists’ delight, where you can spend some good time relaxing amid the lap of Mother Nature. Transfer to hotel in Mysore for overnight stay. On Day 2 of your South India Wildlife Tour, we transfer you to Nagarhole National Park and Tiger Reserve in Hunsur, Karnataka. Experience splendid wildlife viewing at Nagarhole, where you can come across a wide variety of flora and fauna including gaur, elephants, sambar, chital and birds in their natural habitat. In the afternoon, we will take you on a jeep safari of the jungle for a thrilling experience. Stay overnight at Nagarhole’s tourist camp for an enchanting experience amid the wildlife. Explore the jungle for exotic bird watching and wildlife viewing. Nagarhole is a famous tiger reserve in India, and you can even come across one if you are lucky enough. After jungle safari, we will take you on a Coracle ride on the blissful Kabini River. In the evening, buckle up your shoes for another exhilarating jeep ride or elephant safari through the deepest corners of the jungle. Later, we would drive you back to Jungle camp/resort for overnight stay. Day 4 of your South India Wildlife Tour covers early morning complimentary breakfast at the jungle camp followed by a long, enchanting ride to Karnataka’s B R Hills for another wildlife experience. It takes approximately 4-6 hours to reach B R Hills from Nagarhole. Enjoy the stunning scenic beauty around as you travel. Once you reach Biligiri Rangan Hills, check-in your pre-booked jungle tents. Later, set off on an afternoon trekking tour to discover the fantastic wildlife in the region. 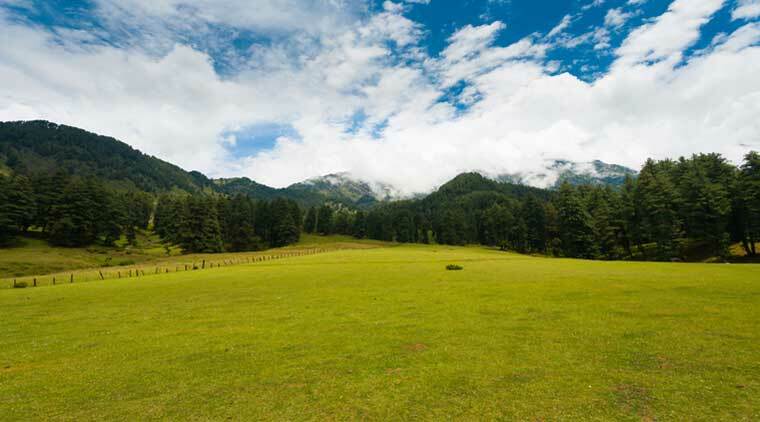 Enrich your senses amid the lush greenery, birds chirping above and absolute tranquillity. Overnight stay in your tents. Day 5 is set for bird watching and wildlife viewing across 540 km of sprawling wildlife sanctuary that is famous for its diverse species of flora and fauna. Embark on an enthralling experience of coming face-to-face with sloth bear, Indian pangolin, black naped hare, small Indian civet, porcupine, clawless otter and deer. The sanctuary is also known for its rare four-horned antelope and over 250 species of avifauna. After breakfast at B R Hills, hit the road to visit one of South India’s most popular wildlife reserves – Bandipur Tiger Reserve and National Park at Gundlupet. It takes approximately 2 hours to reach Bandipur from B R Hills. On arrival, check-in your jungle resort and relax. Enjoy a sumptuous lunch spread at the resort, followed by an afternoon jeep safari inside the park. On Day 7 of your South India Wildlife Tour, get ready for exhilarating wildlife viewing and bird watching at Bandipur National Park. It is one of the most well-preserved wildlife reserves in India and is famous for its diverse species such as muggers, sloth bears, chameleon, giant squirrels, gray langurs, Indian rock python, chital, Indian pond terrapin, brown fish owls, Indian rollers, crested serpent eagles, etc. Bandipur is a popular tiger reserve and you can even meet one nose-to-nose in its natural habitat. Overnight stay at jungle resort. 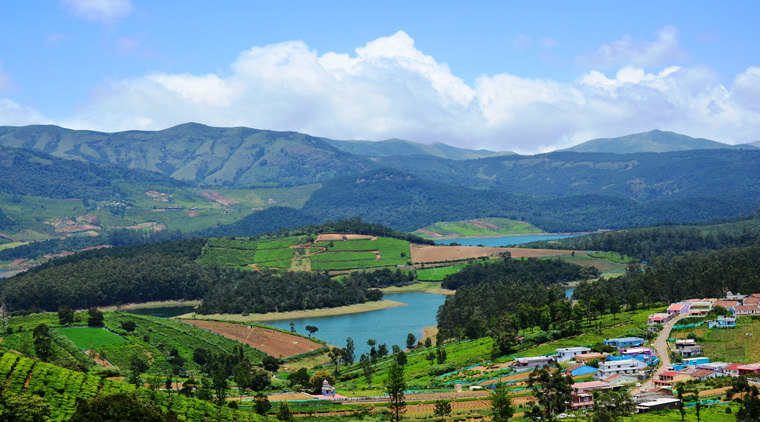 After a hearty breakfast at your resort, set off on a journey towards Ooty, the “Queen of Hill Stations.” It takes approximately 2 hours to reach the picturesque hill station. On arrival, check-in your hotel and spend the day at leisure. 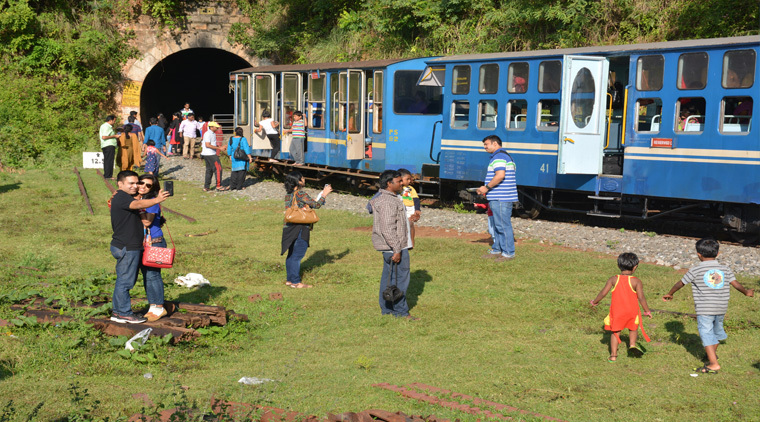 Ooty is one of the finest tourist spots in South India and receives heavy footfall throughout the year. 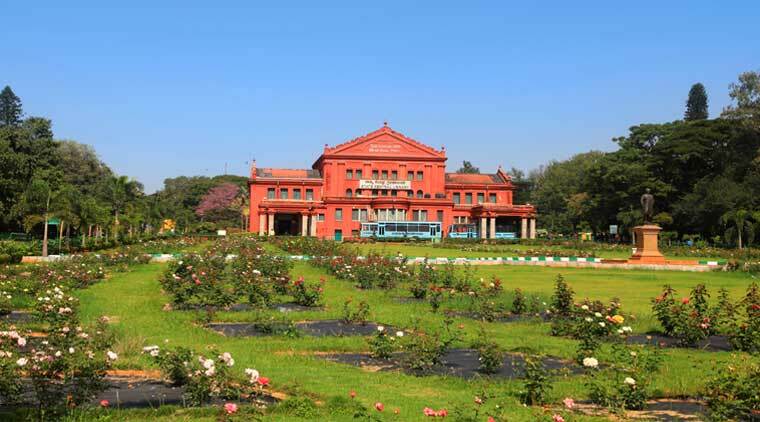 You can spend the entire day sightseeing and exploring the top attractions in Ooty such as the blissful Ooty Lake, Botanical Garden or Government Rose Garden. Take a leisurely stroll around Ooty’s sprawling tea estates; shop souvenirs at the local market; relish upon authentic traditional food. On the 9th day of India’s wildlife tour, head off to Munnar – often called as the “Kashmir of Kerala.” Picturesque scenic beauty, cool mountain breeze and a myriad of flora beckon travellers to this charming hill station. The “Honeymooner’s Paradise” is also known as the Spice Capital of Kerala; thanks to its exotic variety of spices of diverse flavour. Upon arrival, check in at resort/hotel.Complete the check-in formalities and spend the rest of the day at leisure. Take a leisurely walk along the serene landscape or simply admire its beauty from your resort – a perfect recipe for peace and tranquillity. Stay overnight at your resort and enjoy the stunning beauty of Mother Nature by the night. Embark on an early morning wildlife safari inside the Eravikulam National Park, the home to a rare and endangered mountain goat, the Nilgiri Tahr. Eravikulam is also acclaimed for other wildlife species that you may come across during the safari. This includes Nilgiri langur, Nilgiri pipit, Indian bison, sambar, golden jackal, wild dog, leopard, wood pigeon, verditer flycatcher and even tigers. The experience of jungle safari at Eravikulam National Park is worth cherishing forever. After having lunch at Eravikulam, drive to Periyar Wildlife Sanctuary, a popular elephant and tiger reserve in South India. It takes approximately 4 hours to reach Periyar from Eravikulam and the scenic beauty around is spectacular to treasure in your heart. On arrival, check-in your resort. You can enjoy the rest of the day on your own. Stay overnight for an enchanting nightlife experience. Day 11 of your South India Wildlife Tour is scheduled for an early morning jungle safari inside the sanctuary. Spot exotic wildlife including sambar, gaur, lion-tailed macaque, Nilgiri langur, fox, leopard, barking deer, elephant, and tiger. There are around 320 species of avifauna, offering mesmerising beauty to the wildlife reserve. Next morning, we will transport you to Kumarakom, which is around 4 hours from Periyar Wildlife Sanctuary. Reach in the afternoon, check-in your hotel and have your lunch. Spend the entire day in activities that interest you – go sightseeing the top attractions such as Vembanad Lake, stroll around lazily or enjoy a boat ride. After a delicious breakfast at the hotel, indulge into captivating backwater cruising along the lush paddy fields, coconut groves and through the villages. Later, we will transfer you to Kumarakom Bird Sanctuary, a treasure trove for enthusiast bird watchers. Once you complete your check-in formalities at the pre-booked jungle resort, head off to an awe-inspiring bird watching cruise inside the sanctuary. Kumarakom Bird Sanctuary is home to myriad varieties of birds like cuckoo, waterfowl, egret, owl, parrots, heron, wood beetle, flycatchers, and migratory birds like Siberian Crane. It is a real treat for the eyes, watching the beautiful birds in their natural habitat. On the last day of your South India Wildlife Tour, set off on an early morning drive to Kochi, another popular tourist destination in Kerala. Upon arrival, you are free to spend your time exploring the top attractions in Kochi. Sun-kissed beaches, pristine backwaters, rich history and cultural traditions – Kochi stands out! For a captivating experience, visit the Mattancherry Palace, Santa Cruz Basilica, Cherai Beach or St. Francis Church while your stay in Kochi. As per your flight schedule, we will transfer you to the Cochin International Airport where you would board your flight towards onward destination. We wish you a happy and memorable journey. At WaytoIndia, we promise you the highest standards of quality service and unparalleled comfort that exceeds your expectations. Our South India Wildlife Tour package is tailor-made to your needs and designed to offer the most enchanting discovery of the country’s wildlife gems. Check out our South India tour packages today for an exhilarating experience of a lifetime. Travel Tips: If you are serious about wildlife viewing, here are few tips that can bring you closer to nature and enhance your experience. Hire an experienced local guide or naturalist who knows the area well. The fun of spotting wildlife doubles when you have a local expert to guide you. In India, February to May is the best time for wildlife sightings. During this time, the trees are mostly bare and this improves visibility considerably. Due to scarcity of water in the hot months of April to May, the animals flock near sources of water. Most animals have an excellent alert sense of sight and it may be difficult spotting them. Make sure you wear neutral colours that blend with the surroundings. Avoid wearing flashy colours. Barely move when you are on a jungle safari and if you move, do it quietly and slowly. Animals are also highly sensitive to sound. Any kind of noise can make the animal hear you and run away. So, to get closer to them, maintain absolute silence. Many wildlife species have a high sense of smell. Make sure you do not wear any perfume or aftershave while going on a jungle safari. Also avoid deodorants and scented soaps. Animals can easily detect your scent from several yards away and run away. Instead use non-scented, environment-friendly toiletries and soaps that you can find on any jungle resort or specialist camping stores. In no way you should get too close to an animal. This can be extremely dangerous and often, life threatening. It is not advisable to disturb any animal and leave them on their own. Use binoculars for wildlife viewing while keeping a safe distance. Do not forget to use mosquito and insect repellents while on your South India Wildlife Tour. Never get down from the safari vehicles unless you are asked to do so. Most wildlife sanctuaries and national parks do not allow tourists to get down from the vehicles. Do not litter. Throwing plastic or waste inside the reserved areas is prohibited and often considered a criminal offense, punishable under the law. Using flashes for taking photographs is not allowed in wildlife safaris. Flash lights may disturb the animals and can even make them furious. Pack wisely. Carry warm or light clothes depending on the season you are travelling.